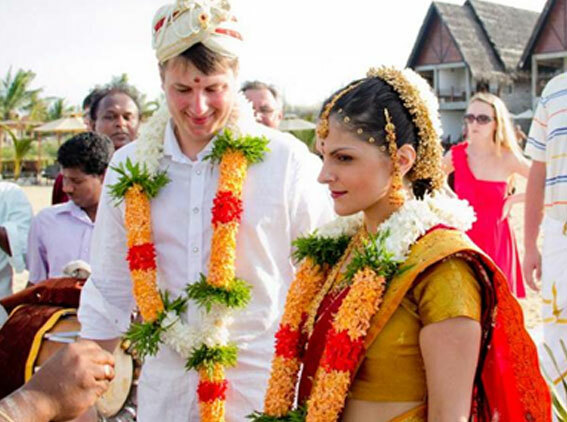 With its multi cultured traditions and customs & picturesque locations, Sri Lanka offers a perfect location for your ceremony of getting married. 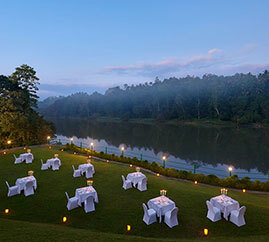 For a celebration of love, friendship, laughter and family consider, the Serendipitous Sri Lanka is the perfect location for your wedding or honeymoon. A simple ceremony of colorful rituals and vows, rows of burning oil lamps, threads of fragrant white jasmine flowers draped over a garden wedding arch. Simple and Stylish… and more! Alternatively a Traditional Sri Lankan wedding will overwhelm you with exotic Kandian dancers, drummers and a rite of ancient Buddhist rituals and kind blessings. Begin your new life lighting the lamp together and relax as we take you to a private beach, where for auspicious good luck, you can invite a caparisoned elephant for a sunset beach ride and enjoy chilled champagne served on the sands as the Indian Ocean sips away the setting sun on ‘your day’. 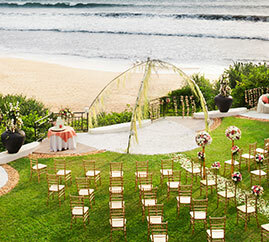 Weddings can be conducted from Monday to Saturday excluding all public holidays. The minimum legal age for marriage is 21. 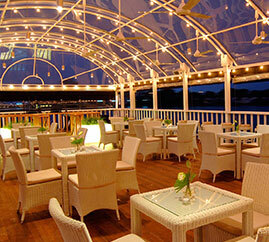 There is a legal minimum period of residency prior to the wedding of 4 days (3 nights). 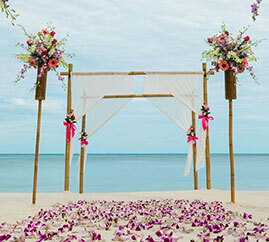 This traditional ceremony lasts 45 minutes and involves the couple arriving at an auspicious time (decided by a local astrologer) on to the Poruwa podium. Once on the Poruwa the couple is blessed by the Monk, they then swap 7 betel leaves, the couples index ﬁngers are then tied together to signify unity and water is poured over their ﬁngers. Following further blessings from the monk the couple ﬁnally light the traditional oil lamp and feed each other Kiribath (Coconut Milk Rice). As the couple step down from the Poruwa a fresh coconut is broken in two.